While it's no longer available at the LucasArts website, you can view the original game announcement in the web archives. 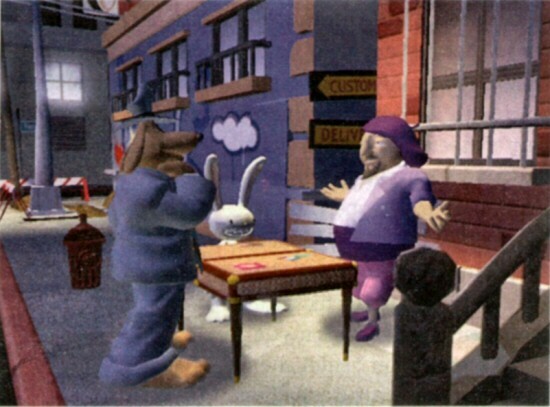 SAN RAFAEL, Calif. -- August 27, 2002 -- Sam & Max, interactive entertainment's most beloved canine and rabbit combo, hit the road again first quarter 2004 in a long awaited adventure comedy sequel for Windows PC from LucasArts Entertainment Company LLC. 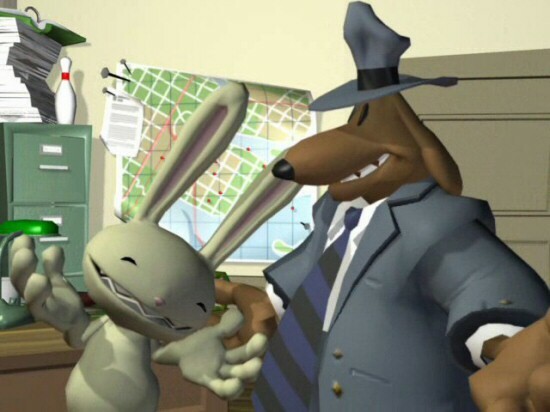 The follow up to the critically acclaimed 1993 adventure classic Sam & Max Hit the Road� will dispatch the Freelance Police into a wild world of screwy and vaguely quixotic missions. Each one will be jam packed with nerve-jangling action, brain-busting puzzles, and the kind of easygoing banter one might expect from a talking dog and a naked, hyperkinetic bunny. 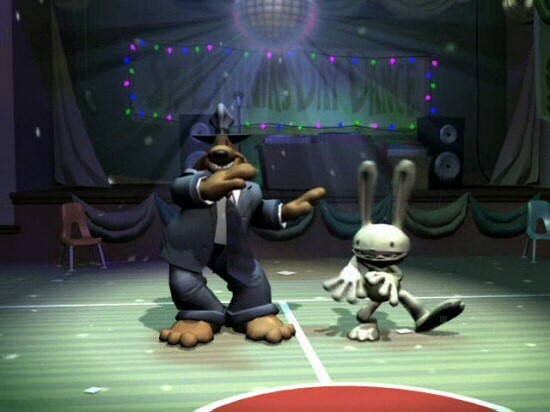 Sam & Max are based upon the "Sam & Max Freelance Police" comic book series created by Steve Purcell. 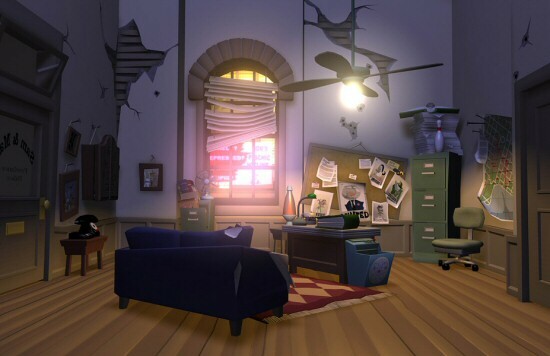 LucasArts' Michael Stemmle, co-director of the award-winning original game, will direct the sequel. 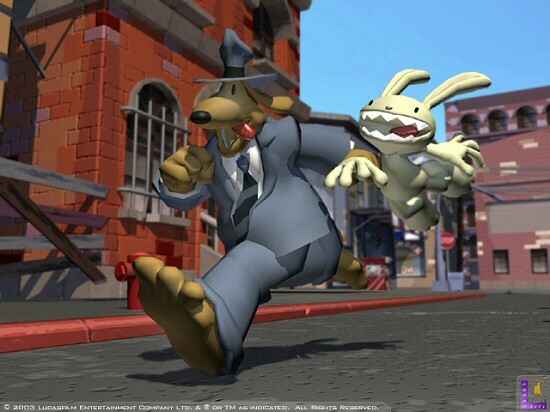 "Sam & Max Hit the Road is a classic and as close to being a signature game as any LucasArts has ever done," says Simon Jeffery, president of LucasArts. 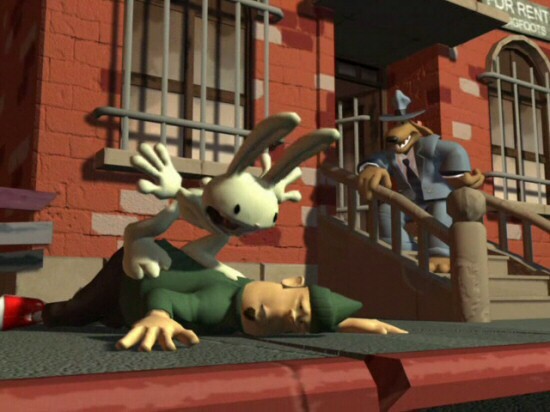 "The Sam & Max sequel, much like the recently announced Full Throttle� II, perfectly complements LucasArts' renowned adventure game legacy and lends further support to the company's commitment to investing in and developing more of our original properties." 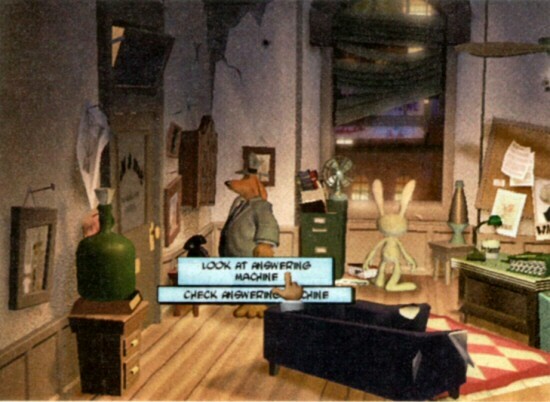 While the LucasArts website for Sam & Max: Freelance Police disappeared when the cancellation was announced, you can still view it at the web archives (though the popup windows with the screenshots etc don't work. The screenshots are available below anyway). There weren't too many screenshots released during production, but a handful have turned up online and in magazines over the last few months. Here's a collection of how the game was shaping up graphically. 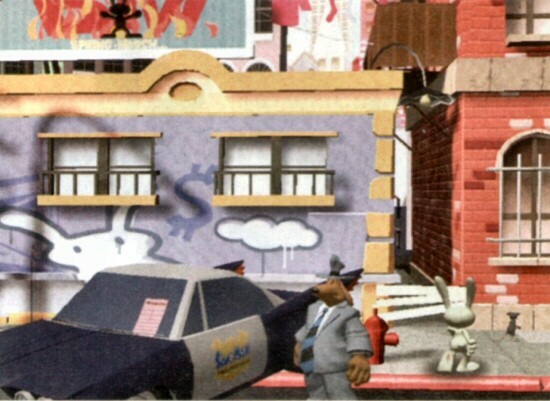 A trailer was also released for E3 2003, bringing much joy to the adventure game fraternity. Click the thumbnails for the full sized images. You can download the hilarious game trailer right here in medium resolution, and from here in high resolution. Be warned though, you'll laugh, then you'll cry at LucasArts' crazy decision. Magazine / Website Game Previews & Interviews. Here is a collection of interviews and articles about the game written prior to the cancellation announcement. Two lone warriors from 1993 return to make adventure games funny again. With the funniest duo in PC history set to grace our screens once more, LucasArts explains why sides will be splitting. 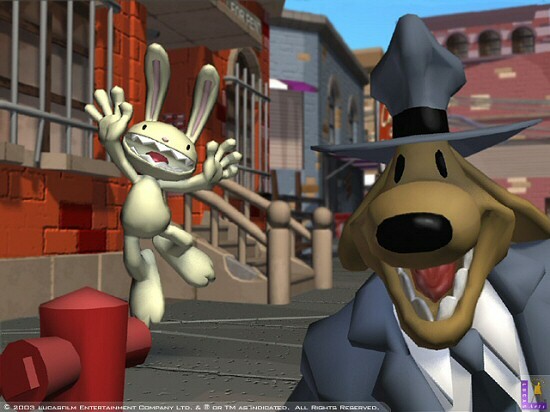 Holy jumpin mother o' God in a side-car with chocolate jimmies and a lobster bibSam and Max are back, and this time they're in 3D! Site owned by, and content maintained by, Tim Price. Site design by jp-30. 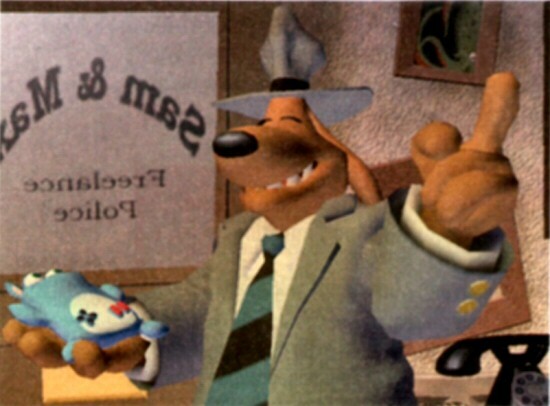 This site is in no way officially affiliated with Steve Purcell or LucasArts etc.